Below are some ways that CIS has helped BCS students in the past. Come back to see how they support students during this school year. Provide trained mentors many students each school year. Provide volunteers to proctor for End-of-Grade Testing. Provide books to be given to students for at home reading. Provide refreshments for student academic and behavior incentives. 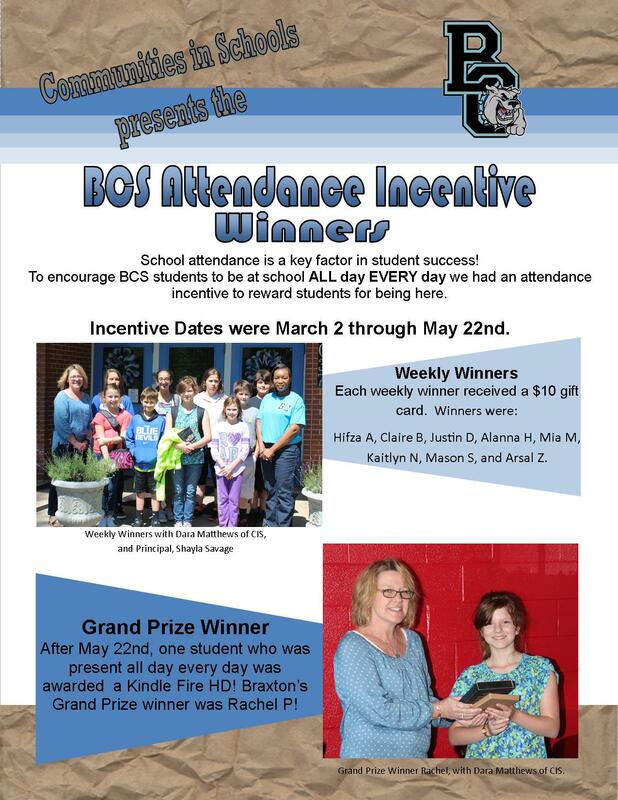 Sponsored a 10 week spring Attendance Incentive by providing weekly prizes and a Kindle Tablet for the Grand Prize winner. Offer access to additional resources to our student support team as they provide interventions for students.